Reacting to a hunger protest by a group of producers led by P T Selvakumar against the present set of office-bearers of Tamil Film Producers Council, TFPC president Kalaipuli S Thanu has said some important decisions will be taken at the general body meeting of the Council on March 27. Speaking at the audio launch of ‘Nijama Nizhala’, he said, “I have done a lot of things to P T Selvakumar. During ‘Puli’ shoot, Shibu Thameens was stranded at Bangkok without funds and following a request from his partner Selvakumar, I have helped them by delivering Rs 30 lakh through my local friend. Also Rs five lakh, which I gave to Selvakumar during the release of ‘Pokkiri Raja’, has not been returned, However now, he is conducting a hunger strike with people outside the industry,” Thanu said. 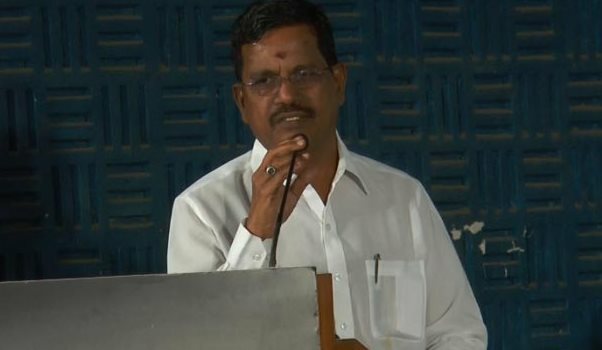 Meanwhile, Selvakumar has denied that the claim that the protest was against Thanu. “There is no politics here and we are not against anyone. We are staging this fast just to create an awareness on the sad plight of producers. We are appealing to all those concerned to save the producers,” he said. Selvakumar, who is actor Vijay’s publicist and directed films such as ‘Onbadhula Guru’, said that producers should be given incentives and rules must be relaxed to enable small film producers to make movies. “Only then the industry will grow,” he said.